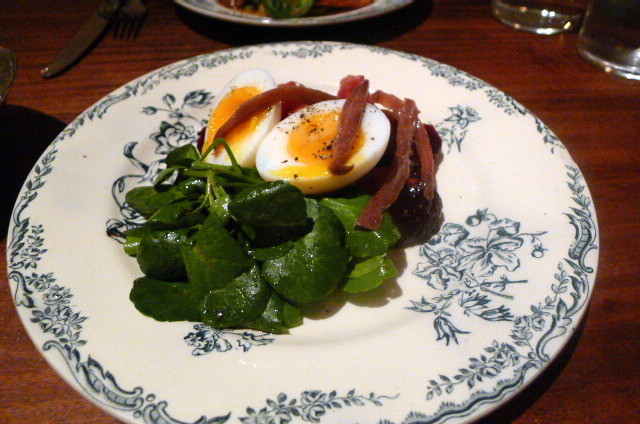 The beetroot in a salad of anchovies, egg and watercress (£8.25) was nicely cooked. Firm yet soft, they had been rendered with a caramelised glaze for sweetness. The egg was runny and looked wonderful but was under seasoned and bland. 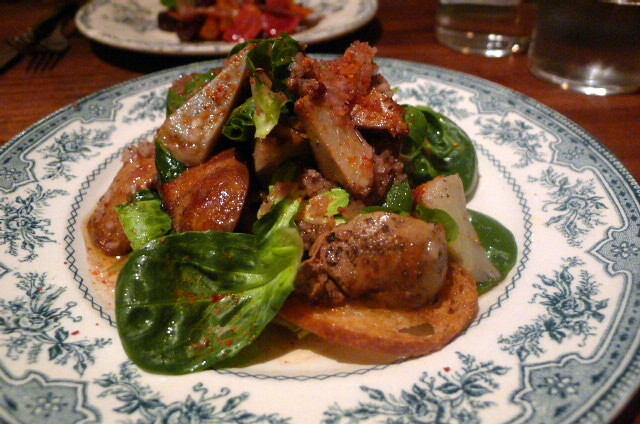 In contrast, the watercress with an olive oil dressing was a touch over seasoned, The anchovies running through the dish were also obviously quite salty, so the combination of saltiness, sweetness and blandness proved a touch poignant on the palate. 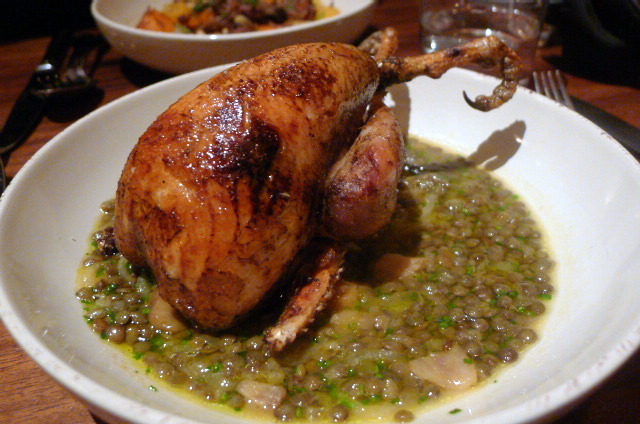 A partridge with lentils, endive and chestnuts (£18) was tasty, although the breast could have done with about 30 seconds less cooking time as it was a little dry. The accompanying lentils and chestnuts cooked in a chicken stock were wonderful though, with the sweetness of the lovely stock permeating throughout. 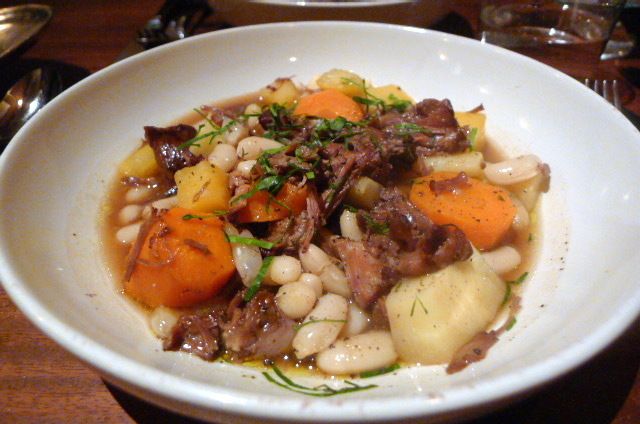 Braised oxtail served with root vegetables and mogette beans (£13.75) was pleasant. The oxtails were tender if a little bland when eaten on it’s own. But it was much helped by the tasty oxtail broth on which it sat. The root vegetable combination of carrots and parsnip were a good match, although the latter was slightly undercooked. A dessert of bitter chocolate was deliciously creamy, strong in chocolate flavour and almost mousse like. 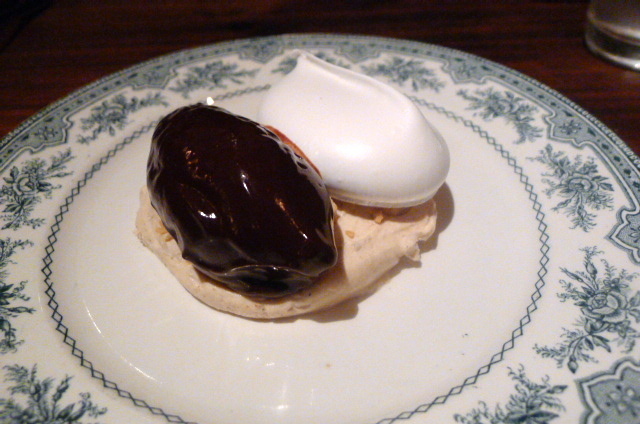 This was really, really good, but the meringue was a little hard and lacked for a gooey centre. A chestnut cream formed the base of the dessert. More cream than chestnut, it was disappointingly bland. As a complete dessert it wasn’t great, but the chocolate was a winner. The service was pleasant although it could have been a touch more attentive. The food was good, not amazing, but solid and good. 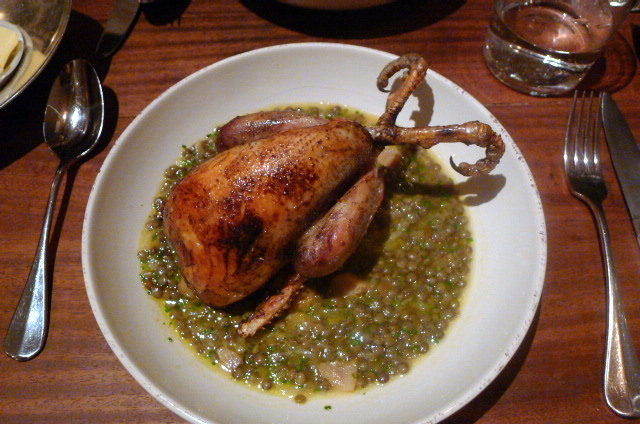 Certain dishes could have done with better judgment, but the variety and rustic flavours paired with a great range of biodynamic wines makes this quaint little restaurant a decent choice amongst the plethora of tourist traps that make up Covent Garden. Price range: £21 to £42 for three courses. Excludes drinks and service.